Isis/Tool Sold Out In Barcelona. There was a nice red square next to the tickets section too. Most likely this was to ensure people realize tickets are no longer available. Thanks to Almudena for the update. Enjoy the show, those who will attend. Update: This was an April Fools prank. Give your love to Kabir. "With the four of us scattered across the world, this seemed a great opportunity to let our fans worldwide participate in something special. Tomorrow, in Sydney, London, New York, and Los Angeles, at 11 AM local time in each city, one of us will be on hand to play the album for the first 500 fans to arrive at the venue. No questions, no autographs, no cameras, no cellphones - just the music. We're sorry for the short notice, but we wanted to try to keep the media out and our diehard fans in." Now, I hope I'm not making anyone mad with this, but Kabir has been in on the last few April Fools pranks, and was actually essential in last years. It would appear that way this time also. Of course, this may be true, so that is why I am posting it here. As a little bit of advice, check into this before you make an attempt to go. Give the venue a call or something. Good luck, I guess. We previously reported that tickets for Tool in Barcelona were no longer available at the link given. We have been informed by kaunaz, however, that they are still available at this page. Also, Tool are scheduled to perform at the Festimad in Madrid on May 27th. It appears they are headlining with the Deftones playing before them. It also appears you cannot buy tickets, but you have to win them. I don't speak Spanish, though, this is just what I'm told. According to Billboard's website, the first single from 10,000 Days is Vicarious and will be aired on radio stations starting April 17th, which is Maynard's birthday. And just for fun I'll add that the song is apparently over 7 minutes long. Thanks to inc. on ETS for sharing this. By the way: This has been confirmed on Toolband. Kaunaz wrote in to give us the links to a couple of websites with information regarding the Barcelona show at Razzmatazz. The first one has informaci�n en Espa�ol about the show, but tickets are only available at this website. According to the page, kids under 16 will NOT be permitted at this show. Thanks again to kaunaz for the info. It appears that the link to buy tickets is no longer working. It should be assumed that there are no more tickets available. Christo just sent us word that another date at the Hammersmith has just been added - get while the getting's good. Thanks to everyone for the updates, and for the words of encouragement! According to an email from AbjectMisery, tickets for the June 13th Tool gig at the Apollo Hammersmith are on sale for �33. Click here to bypass the really flashy front page of GigsAndTours.com and go straight to the sale page. Seetickets.com has Tool tickets on sale as well. Check it out. There is a short interview with Danny Carey at Launch regarding the new album. Thanks to merde at Echoing The Sound for the info. altair on echoing the sound posted a link to this alex grey photo, standing in front of a work titled "Net of Being," from the Chapel of Sacred Mirrors in NYC. Alex Grey has done the artwork for the last few Tool releases, and you can view more of his works at alexgrey.com, and he has a couple books currently available as well. Blair has apparently posted the new Tool logo and album art for 10,000 Days on Toolband. Edit (03/21/2006): Amazon has updated their page for 10,000 Days. It now has the album art with the logo and title on it, yet the page still has the album listed as TBD. Thanks to tentonmantra on ToolNavy for noticing. Edit #2 (03/22/2006): Blair has made an update on Toolband explaining what "album mini" means. "For those who still dont know, it is what a business (such as Amazon) uses to advertise a new product (such as the new Tool CD)." This seems to mean that it is simply a placeholder, much like the one Amazon had for Lateralus. 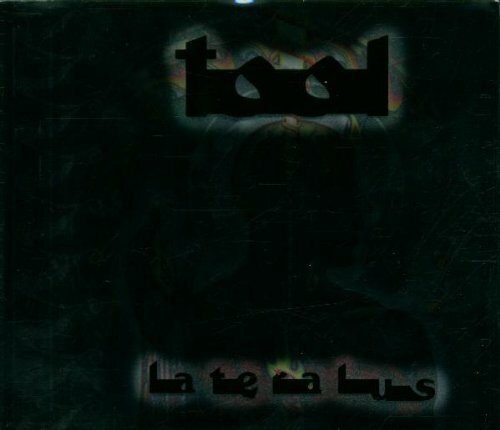 Amazon.com (U.S.) currently has a new Tool album listed for release on May 2nd. Still no title, tracklisting, or cover art on the Amazon site, so U.S. residents, pay the $12.95 at your own risk. Thanks to Bob P. for the heads up. Tool at Summer Sonic '06 in Japan. The website for the Summer Sonic Festival in Japan has listed Tool as a new addition to the lineup. The festival takes place on Saturday, August 12, and Sunday, August 13, 2006. Thanks to Chris at The Tool Page for the info. Tool will be guest-hosting the Australian music show Rage in the near future, although a specific date has not yet been listed. The show allows bands to guest-host and play their choice of music videos. We'll keep you posted on the air date. Thanks to schteph at Echoing The Sound for giving us the heads up. In case you're interested, Adam Jones will be featured in next month's edition of Guitar World. Thanks to the guys at The Tool Page for the heads up. David dropped me an email to point out that new promotional photos went online at Sony/BMG's German site. You can view the full-size images here and here. Welcome to the first spinoff from The NIN Hotline. From this site, I hope you can come to expect the same kind of accurate, timely and relevant information that I've tried to provide via The NIN Hotline. I decided to create this site because I'm lazy -- I don't care to filter through Blair's posts to the official site, Fourth Eye posts fan art and fake tracks, Toolshed's accurate but kind of slow, and I don't have time to parse Tool boards for information. Our focus is accurate news, and information archives (mostly articles), and good deals on otherwise expensive official merchandise... just like The NIN Hotline. If this works, it works. If it peters out, then I'll probably quietly close the site. Anyway, I invite feedback, email me and tell me what you'd like to see, and like not to see, what your favorite existing Tool sites are, and so forth. Please note, this site style is by no means permanent - I'm floundering a bit on how I want to make it look. Eventually there will be multiple site style options, just like on the NIN Hotline. I just have to make some good ones. The header up there now is by Bryce Miller. I like it better than the one I put together. Many European tour dates have been added at the official site. Tool is also slated to headline the 2006 Coachella Valley Music And Arts Festival on Sunday, April 30, 2006. New Album: 10,000 Days. Out May 2nd. This has also been posted to Adam Jones' myspace page.